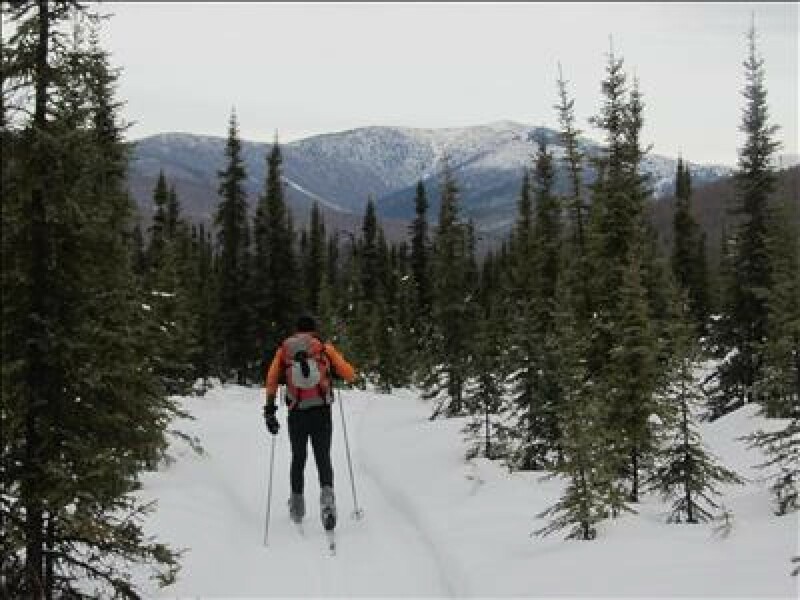 The Chena River to Ridge race will take racers around maintained snowmachine trails in the Chena River Recreation Area east of Fairbanks. It is a challenging race course with big ascents, fast downhills, blind turns, and outstanding views as the trail climbs high above the valley floor. Racers can either travel by ski, bike, or on foot. The short course will follow a 25 mile loop and the longer course will include a second loop that is 25 miles long. The 25-mile loop will have a small aid station at race mile 13 which will be stocked with hot drinks and some snacks. The 50-mile loop will also have a heated aid station cabin near mile 37. After the race, you can go and soak in the outdoor pond at Chena Hot Springs resort, about 30 minutes away.